Noticing these reactions many researches have been done over milk and its utility and some startling revelations have come out which point out towards some harmful aspects of usage of animal milk by man. I would like to present a gist of these researches to the readers for their scientific understanding about the properties and usage of milk. 1. Each species milk is most suitable only for species of that nature. Every mammal’s milk is- designed and intended for the development of its young ones. Except human beings no animal drinks the milk of any other animal. From this consideration, the best milk for a human being is the milk of his own mother. The composition of milk of every species is different and is suited to body requirement of its own species only. 2. The greatest requirement of milk is only during the infancy when the infant is not able to take any other food. Milk is not meant for lifelong use. No animal except man takes milk lifelong. From this consideration, the usage of milk should considerably reduce in adulthood. Its greatest requirement is for the young one upto 3-4 years till teeth are evolved for independent mastication and he is able to digest solid foods properly. In fact, nature has automatically provided the required quantity and quality of milk in mother’s breasts as is needed by an infant to grow properly. We can now elaborate on the properties of milk to make the above mentioned two points more clear to the readers from scientific angle. 1. Protein in milk: Cow’s milk has 3 times more proteins and almost 4 times more calcium. This is because the growth rate of calves is much more than human infants. The cow’s milk contains fast growing steroids and hormones. If we drink this milk with such constituents in it meant for the structure and growth of a calf, it is bound to create imbalance in our body. Moreover, cow’s milk proteins are more coarser while mother’s milk proteins are much finer. A child fed on cow’s milk forms cheese clumps in the stomach and when the child vomits, he expels cheese. On the other hand, a child fed on mother’s milk vomits only fine flakes. More protein means more acidity in the body because protein is an acidic food and to neutralize this acid, calcium is leached out from bones and teeth and they become weak. Further, excess protein places additional burden on the kidneys leading to their premature degeneration due to overwork. When milk enters a baby’s stomach, it is turned into curds and whey. The curds are made of casein. The curds of cow’s milk are much bulkier and tough than those of breast milk because of higher amount of casein and sometimes lead to indigestion in some babies. Many people add water in milk to dilute this tough indigestible casein. Breast milk protein forms finely separated curds in the stomach which then passes quickly and easily into the small intestine where they are easily broken down. This is why stomach of a breast fed baby empties more quickly than that of a bottle fed baby and baby gets hungry more quickly and needs frequent feeds. Cow’s milk curds stay in the stomach for about 4 hours. A baby uses only about half the protein available in cow’s milk while a breast fed baby uses all the protein with virtually no wastage. Unused protein in cow’s milk is partly passed out in the stools (which makes a bottle fed baby’s stools bulkier than a breast fed baby’s) and partly broken down before being excreted by the kidneys in the urine. The lactoglobulin fraction of milk protein contains highly specialized proteins – the immunoglobulins (IgA, IgD, IgE, IgG and IgM). These carry the antibodies against disease. For years it was thought that a baby only obtained antibodies from its mother before birth across the placenta and that none were given via breast milk. We now know that babies continue to receive these essential antibodies from their mother’s milk. Colostrum – a special sort of milk produced in the first few days after birth contains large amount of lactoglobulin, so colostrum is vitally important for the future health of the baby. Mature breast milk also contains antibodies but in smaller amounts. These milk antibodies are similar to those which the mother has in her blood and protect the baby against bacterial and viral illnesses from which the mother has suffered or has been immunized against. Among the illnesses that a baby can be protected, in this way, are tetanus, whooping cough, pneumonia, diptheria, E. Coli, Gastroenteritis, typhoid, dysentery, flu and various other viral illnesses including Polio. Later a baby will manufacture his own antibodies in response to infection or immunization. Immunoglobulin A (IgA) in the mother’s colostrum and milk coats the lining of the baby’s gut in the first few days after birth and prevents many infective organisms and other large protein molecules from entering the baby’s bloodstream. Cow’s milk contains antibodies too but these are antibodies against cow’s diseases not human ones. Further lactoglobulin (together with lactogerrin, another anti-infective agent) is altered to such an extent by heating of cow’s milk that it loses its antibody activity. That is why problems of gastro-entireties are more with ingestion of cow’s milk. Besides protein in milk, there are free amino acids and the proportions of these differ in human and cow’s milk. Breast milk contains more cystine compared with cow’s milk which contains more methionine. This point is especially important for premature babies because they are incapable of using methionine until they become more mature. 2. Fats in milk: Fat present in cow’s/buffalo’s milk is present more in saturated form which increases cholesterol while breast milk contains a higher percentage of unsaturated fat. Fats are split into simpler fatty acids in the gut by naturally occurring enzymes called lipases. The digestion of cow’s milk fat by lipase leads to release of a fatty acid called palmitic acid which combines with calcium in the gut and is passed out in the stools, so robbing the body of calcium. In human milk, palmitic acid is built into the fat particles in such a way that when fat is digested by lipase, the acid is not released as a free fatty acid but is absorbed in the bloodstream together with part of the broken down fat particle. In this way calcium is not lost. Human milk contains some lipase of its own unlike cow’s milk which relies solely on lipase in the body’s intestine for its digestion. The fat in breast milk starts getting digested by the milk lipase even before it reaches the gut. It is seen that when a breast fed baby vomits, there is no unpleasant smell whereas a bottle fed baby’s vomit has a characteristic foul, sour smell. The difference is due to the presence of a fatty acid called butyric acid in cow’s milk which smells nasty when partially digested. 3. Calcium in milk: Human beings absorb less calcium from a high calcium cow’s milk than from the lower calcium mother’s milk. It is not the quantity that counts but calcium is absorbed depending on the ratio of calcium and phosphorus in the milk which is inappropriate in cow’s milk for absorption of calcium by human body. Inappropriate absorption of calcium increases problem of acidity and tooth decay. Gnfunctional calcium either gets deposited on some soft tissues in the form of plaque or is excreted in urine. Kidneys are overburdened in this process. 4. Carbohydrates in milk: Mother’s milk has double the carbohydrate than found in cow’s milk. So cow’s milk is deficient in this nutrient. This is why breast fed baby hesitates to accept the sweetiess cow’s milk. Cow’s milk is usually not fed pure but sometimes added with 1/3 or 1/2 water in it. This makes milk absolutely tasteless and sweetiess. Artificial sugar is added in cow’s milk to make it artificially sweetened. Thus white sugar is unnecessarily introduced to child’s stomach. Excess sugar may harm his pancreas by stimulating the overflow of insulin too early in life. Breast milk also contains some glucose and some other sugars which are completely absent or present in much lower quantities in cow’s milk. The bifidus factor (explained further) is another carbohydrate present in breast milk but virtually absent from cow’s milk. This is a very valuable protective factor against infection in the gut. 5. Minerals: Whole cow’s milk contains almost 4 times as many minerals as breast milk because of which baby’s kidneys have to work hard. Cow’s milk has 6 times more phosphorous and 3 times more sodium than the mother’s milk. These excess materials not needed by human body create waste matter in the body and more load on kidneys for excretion. Iron is one mineral present in larger amount in breast milk (twice than cow’s milk). Iron in breast milk is better absorbed into the bloodstream than the cow’s milk. Certain substances such as Vit. C, E and copper help iron to be absorbed more efficiently which are present in higher amount in breast milk. 6. Mucous formation: There is 300% more casein in cow’s milk than in mother’s milk. This casein coagulates in the stomach and forms large, tough difficult to digest curds. The by products of the bacterial decomposition of casein end up in thick rope like mucous that sticks to mucous membranes and clogs our bodies. Infact it has been found that cow’s milk produces more mucous than any other food. Thick dense mucous clogs and irritates the body’s entire respiratory system, coats the inside of the body and prevents the fluid operation of the system. It adheres to the lining of the intestines and prevents the absorption of nutrients from the body which results in lethargy and diseases. It places a tremendous burden on the eliminative system of the body. 7. Animal’s milk creates constipation: In breast milk the proportion of water and other constituents are just right for baby while in cow’s milk proportion of liquid to solid is less which may aggravate the problem of dehydration. If a child is already dehydrated due to diarrhoea, vomiting or sweating, the problem becomes more acute. The stools of bottle fed babies contain less water than those of breast fed babies and this is one reason why they get constipated more often. 8. Milk allergy: Cow’s milk has been often reported to produce allergy to many people in the form of diarrhoea, vomiting, colic, eczema, running nose, cough, wheezing etc. Infact many other illnesses are also caused by allergy to cow’s milk protein. The protein most commonly involved is the B-lactoglobulin in cow’s milk which is absent in breast milk. The reason for this is explained below. Babies begin to make their own immunoglobulin A (IgA) after the first few weeks of life. Until they make enough, they need IgA from their mother’s milk. Cow’s milk IgA is no help as it is spoilt by heating. IgA is important in preventing allergic diseases because it forms a protective coating over the gut lining and not only fights infection but also stops infective organisms and large protein molecules leaking through the gut wall into the bloodstream. In babies who are bottle fed there is no protective coating of IgA until the body makes enough of its own (in 3 months or so). Thus food proteins can leak into the blood stream through the gut wall and be taken to various body parts where they can set up an allergic response. 9. Anti-infective factors: We have already mentioned about antibodies in breast milk but there are other substances which also help fight infection in the baby and these are plentiful in breast milk than in cow’s milk. The very proportion of food substances in breast milk prevents the growth of certain organisms such as E. coli, dysentery and typhoid bacteria in the baby’s gut. The high lactose, low phosphorus arid low protein levels contribute to it. The gut of baby contains thousands of tiny organisms. The organisms in the breast fed baby are members of the Lactobacillus bifidus family and are encouraged to grow by a special nitrogen containing sugar – the bifidus factor which is not present in cow’s milk. The lactobacilli produce acetic and lactic acids which together prevent the growth of many disease producing organisms such as E coli (a common cause of gastroenteritis), the dysentery bacillus and the yeasts. An important anti-infective factor present in much greater amount in breast milk than in cow’s milk is the protein lactoferrin. Together with one of the immunoglobulins (IgA) lactoferrin inhibits the growth of many organisms including E. coli, the yeasts and staphylococci by robbing them of the iron they need for growth. Three more factors interact with each other to kill bacteria: Lysozyrne (present in breast milk 300 times greater than cow’s milk), Immunoglobulin A and a substance called complement. Lysozyrne is present in other body secretions also such as tears where it prevents infections of the eyes and eyelids. Breast milk also contains an anti-staphylococcal factor, hydrogen peroxide and vitamin C which together kill bacteria such as E. coli. It contains an enzyme lactoperoxidase which inhibits the growth of bacteria and many live cells. These live cells are like white cells in the blood stream. Breast milk is a living fluid while cow’s milk cells get killed by the time it reaches inside the baby because of the heating and other processes involved including the time factor. The lymphoid cells in breast milk make IgA as well as an antiviral substance called interferon. These cells can also be absorbed from the gut into the bloodstream of the baby where they continue their work of making immunoglobulins. Other cells in breast milk are called macrophages. These are large cells which can actively engulf particles such as bacteria and also produce lactoferria, lysozyme and complement. 10. Milk intolerance with growth: There are two elements in milk that have to be broken down by the enzymes in the body – Lactose and casein. Lactose is broken down by the enzyme lactase and casein is broken down by the enzyme reran. It is found that enzyme lactase is no longer (or very little) produced after the baby is weaned from its mother’s milk between the age of two to four. By the age of three and four, renin is also almost nonexistent in the human digestive tract. This is how many people have acute reaction to milk including cramps, intestinal gas and diarrhoea. ‘Lactose intolerance’ in children and adults is nothing but inability to digest milk sugar (Lactose) due to deficiency of enzyme ‘Lactose’. If a child below the age of four also show this intolerance because of hereditary/genetic reasons, then that child can be give curd paneer etc., to compensate the requirement of milk. This also proves that as we grow towards adulthood, nature wants us to drink less and less milk and take other things like fruits, vegetables, nuts, cereals & pulses, soups, coconut milk, soybean milk etc. Since what is true about milk is also more or less true about usage of various milk products, hence it will be worthwhile to mention about various milk products for reader’s guidance. 1. Creme: It is the fat portion of milk. When milk is churned in centrifugal machine, creme is separated from the milk. If raw milk is kept in Refrigerator as such, layers of creme come up after sometime. 2. Skimmed milk (or ‘Sapratta’ milk): When creme is separated out from the milk, the remaining portion is skimmed milk or ‘Sapratta’. 3. Butter: When creme is churned in a pan, butter (the fatty portion) is separated out as one product and ‘mattha’ (or butter milk) as other product. It can also be made from ‘Malai’ of milk as mentioned in (8). 4. Buttermilk: (Mattha or ‘Chaj’) is produced as explained in (3). It has no fat. It can also be made from ‘Malai’ of milk as mentioned in (8). 5. Ghee: When butter is heated, ghee is separated out. 6. Curd: When a little amount of curd is added to milk, whole of it gets converted into curd within 4 hours in summer and 12 hours in winter. When curd is added to milk, the lactobacillus bacteria (or lactic acid bacteria) present in it cause conversion of milk sugar called lactose into lactic acid (which is sour in taste and thus convert milk into curd). Milk sugar called lactose into lactic acid which is sour in taste. By mixing curd in fatty or non-fatty milk, you can get the curd of corresponding nature (i.e. fatty curd or non-fatty curd). Curd is more easily digestible than milk and curd bacteria keep the stomach and intestines in order. 7. Lassi: It is made by churning ‘curd’ and converting it into liquid form by adding some water and adding sugar or salt in it. 8. Malai: When milk is boiled, and it is allowed to cool, a crust formation takes place at top of the milk which is called ‘malai’. It contains major portion of fat of milk. When ‘malai’ is churned (after mixing little curd in it), ‘Mattha’ & butter get separated out. Note: Deference between ‘Creme’ & ‘Malai’ – Creme is obtained from Raw milk. Malai is obtained from boiled milk. 9. Rabri: When milk is continued to boil, water present in it starts evaporating and milk is solidified to required consistency. Then sugar is added in it to make it ‘Rabri’. 10. Khoya or ‘Mawa’: is like ‘Rabri’ except that solidification of milk is more in this case and moisture content is less. ll. Paneer (Cheese): When milk curdles by the use of some acid or vinegar then liquid gets separated out called ‘whey’ and remaining solid portion is ‘Paneer’. In this process, milk protein ‘casein’ is coagulated and Paneer is obtained. Paneer has all the proteins and fats as that in the milk. Depending upon the use of fatty or non-fatty milk, we can make cheese having fat or fat free cheese. In market many types of processed cheese are available. They are made by adding different compounds and preservatives in soft cheese. Cheese is more acidic in nature. 12. 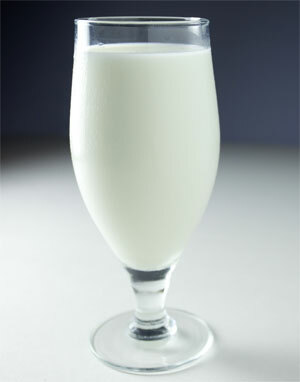 Whey: It is the watery portion of milk after cheese is separated out. 14. Pasteurized milk: Normally if the fresh milk is not boiled for sometime, it gets spoiled. In the process of pasteurization, milk is heated upto certain temperature and then suddenly cooled. Pasteurization not only protects the milk from being spoiled but also kills the bacteria of tuberculosis, typhoid, cholera, dysentery etc. But with this process, many nutrients (like vitamins & enzymes) are destroyed and many chemical alterations take place. Also its value as a live food decreases. It is a law that any food when heated above blood temperature will start losing its nutritive value. Among all the milk products, yoghurt, buttermilk and whey have a special place and carry some distinct benefits because of which they are normally recommended. Their salient features are as follows. 1. Yoghurt is a useful source of calcium and phosphorus for strong bones and teeth. People who need calcium but can’t drink milk because of lactose intolerance may take yoghurt. 2. It contains vitamin B2 (riboflavin) which is needed to release energy from food and B12 for a healthy nervous system. 3. Live or fresh yoghurt discourages the proliferation of harmful bacteria and yeasts in the gut that lead to bowel infection. 4. It can help to relieve gastrointestinal disorders, diarrhoea and constipation. It can also reduce bad breath associated with some digestive disorders. 5. After a course of antibiotics, eating live yoghurt can restore the necessary intestinal bacteria destroyed by these drugs. It is to be noted that antibiotics not only destroy harmful bacteria but they simultaneously destroy useful bacteria residing in our gut which produce small amounts of some B vitamins and vitamin K for use by the body. Buttermilk: Buttermilk is light, cooling and more easily digestible. The lactic acid of the buttermilk is a good food acid and is utilized by the body just as are the citric, malic and other acids found in fruits and some vegetables. The lactic acid also opposes intestinal putrefaction. In the prance of this acid, germs which cause infections leading to diarrhoea and dysentery can’t thrive. This acid makes buttermilk a natural laxative and stimulant of the colon. Free and regular use of buttermilk promotes longevity and prevents disorders of stomach and liver. A few caraway seeds in buttermilk first thing in the morning, relieve constipation with a certainty. Whey is the water portion of milk after cheese is separated. It is rich in vitamins and contains milk sugar and much of the minerals. It is useful in jaundice and dysentery. Conclusion: The purpose of this article is not to conclude that one shouldn’t take milk at all. Purpose of this article is to stimulate reader’s mind to probe further in this area of interesting researches on milk and other foods and find their own conclusions instead of accepting blindly what has been said here. One should definitely reduce animal milk’s intake as one grows towards adulthood but not make it zero as milk definitely has some beneficial elements also along with the shortcomings as enumerated before. By taking less milk, one will be able to get those benefits and also avoid the shortcomings associated with it. But with reduction of milk, one should increase his intake of other healthier alternatives of foods e.g. fruits, vegetables, nuts, whole grained cereals & pulses, soyabean, coconut, soups etc.